Who pours into you when you have finished pouring into everyone else? It can get hectic being a Queen, Queens need refills too! Mondays Are for Queens will motivate, inspire, and encourage you on your own personal journey. Conquer your days like the true Queen you are. 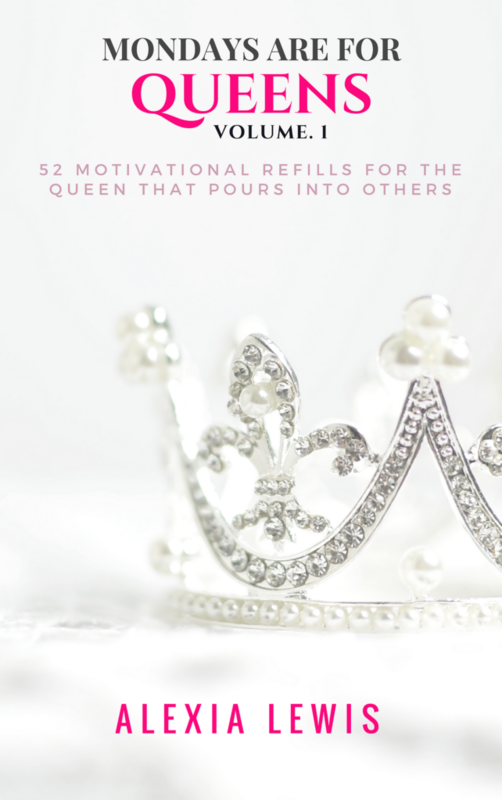 Inspired and written by Alexia’s personal trials and experiences, Mondays Are for Queens offers gems of wisdom & motivation to conquer challenges we face daily.